Bookmarks are great for trade shows, fairs, promotions, social gatherings, company, school, church, college group, non-profit organization, and other events. It’s a greater way to market your company to be introduced and established to the people, especially to your potential customers. So say goodbye to dog-eared pages and hello to convenient, consistent marketing with bookmarks. 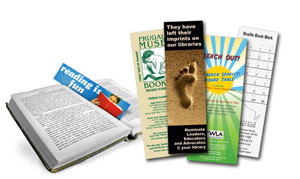 Package your company’s logo and/or message in a useful-yet-cost-effective, quality product with bookmarks. * Other Sizes, Paper Stocks, 2-sided printing available at additional charges. 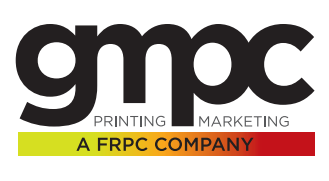 Are You Ready to Take Your Bookmark Printing to the Next Level?